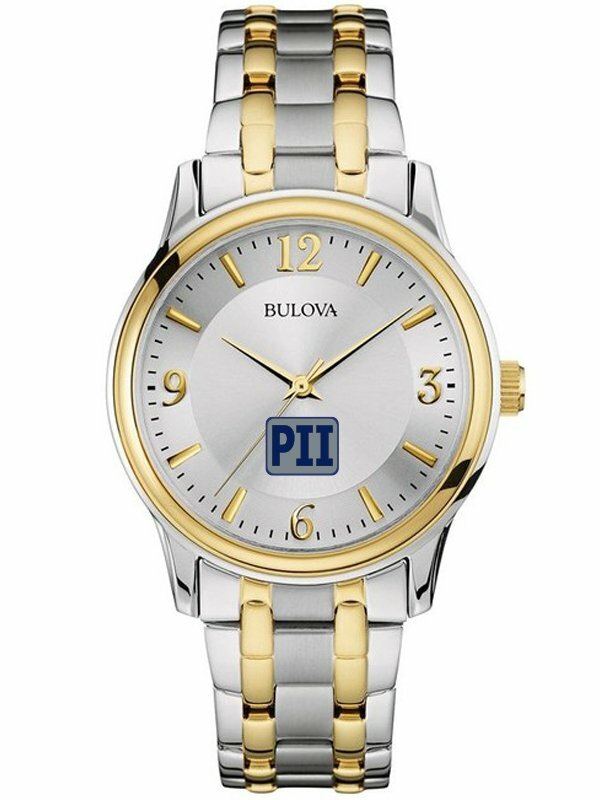 Brand name promotional watches w/ a logo Bulova Corporate Mens. Affordable choice with your company logo 4CP printed on the dial. 38 mm case, three-hand movement and 30M water resistant. and a silver dial with gold markers. Bulova Branded Box. Price includes color custom logo digital imprinting on dial.